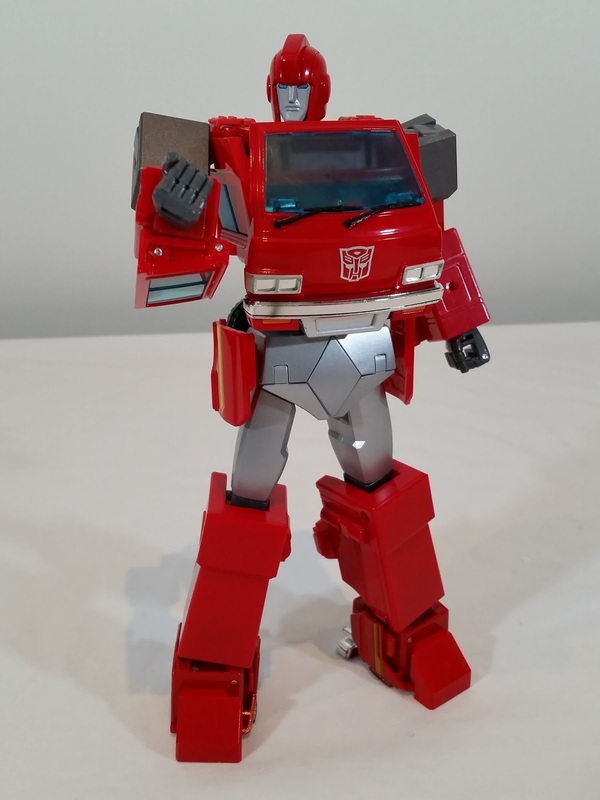 When I first saw the prototype photos for the new Transformers Masterpiece Ironhide, I totally hated the hip panels. Something just looked wrong with them! But now that I have the figure in hand, the overall awesomeness of this new mold by Takara makes the hip panels seem like only a minor nitpick! This figure is just fantastic, with some great transformation sequences that are great "Masterpiece Moments" for me! Click through below to check out my full video review over on the Kool Kollectibles YouTube channel! This is one release that Takara has absolutely stacked with accessories! It's great that the figure itself is an all-in-one transformation, but they pay homage to the odd G1 cartoon scene and toy with the separate weapons platform too. The alt mode itself is just a perfect representation of the official car, and look so good! Love that they included the homage to the G1 toy face through the windscreen! Once into bot mode, the size/scale of the figure really shines, with the bulk sitting nicely between that of Optimus and the other smaller Autobot cars like Prowl and Sideswipe. So it makes for an awesome and fairly accurate display straight out of the G1 cartoon! The head sculpt was another concern from initial prototype pics, where it looked a little skinny. But the final production version seems perfect to me, and the swap out face allows you to recreate his final scene at the hands of Megatron. 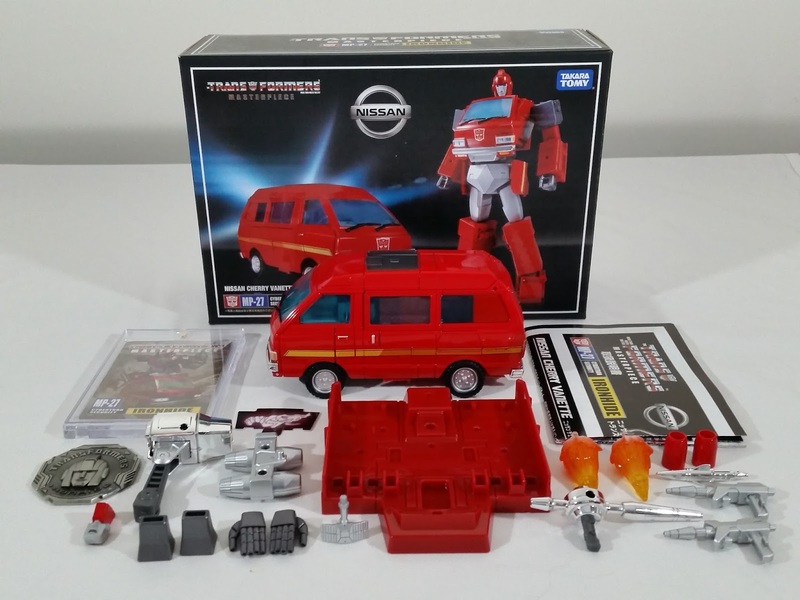 Aside from the hip panels, I would say this is as perfect a G1 Ironhide as you could have. The hip panels don't annoy me as much as I thought, but it still would've been nice if they had designed a way in which they could be folded away.